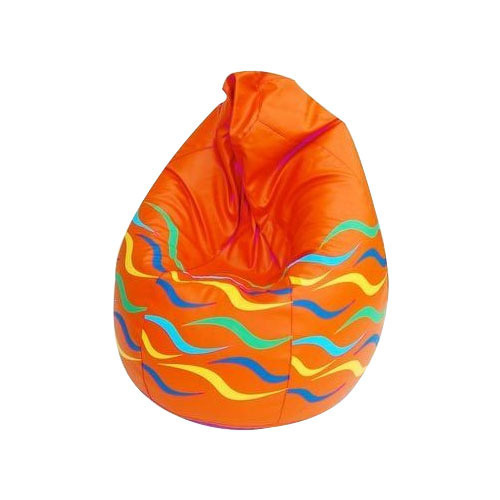 We are one of the eminent manufacturers and suppliers of Orange Bean Bags. The bags are available in printed and plain patterns which are attractively designed using high quality raw material. These are widely appreciated for light weight and attractive colors. Moreover, the bags are elegantly designed to enhance the interior decoration of living areas. We “Funprints International” are actively committed to manufacturing a remarkable array of Bean Bags, Printed Bean Bags, Fancy Bean Bags, Colorful Dot Bean Bags, Doodle Bean Bags, Ball Shaped Bean Bags, etc. We are a Sole Proprietorship company that is incepted with an aim of providing a comfortable and exclusive range of bean bags. Founded in the year 1996 at Jalandhar (Punjab, India), we are providing a beautiful and stylish collection of bean bags as per the latest market trends. These bean bags are designed in a variety of prints and patterns to suit the taste of the clients. Our extremely efficient manufacturing facility and our established core values, identity and philosophy, enable us provide our clients with a wide range of Bean Bags to choose from. The production facility is enabled with both semi-automatic and handmade manufacturing procedures. Our experienced team of personnel designs these bags according to latest styles and trends in the industry and provides ultimate satisfaction to the clients. With the constant motivation and guidance of our mentor, “Mr. Vivek Sheel” we have become one of the leading manufacturers in the industry, owing to our wide product range and our domain expertise. His vision and futuristic outlook has opened up new avenues and opportunities for our organizations.